I have for over 30 years travelled extensively to various countries to experience and photograph the diversities of the cultures, landscape and wildlife. For the last 20 years I have been a professional Self-Employed and Freelance Photographer, photographing a wide variety of commissions for my business. During this time, I have been photographing Weddings, Portraits, Commercial and Legal and also travelling to many Countries and locations producing many Travel Photographs for my ever expanding portfolio. 'Amazon Expedition' into Peru and Bolivia. 'Wild Zambia' travels through Zambia from Victoria Falls onto the Luangwa Valley to photograph the wildlife and especially tracking and photographing the Leopards. 'Rhinos & Battlefields' the wildlife, birds etc of South Africa and especially the Rhinos, highlighting about the poaching for Rhino horn, and moving on into the British Zulu - Boer war battlefields, finishing with the wildlife of the Kruger National Park. 'African Expedition' Cape Town to Victoria Falls and back to Cape Town travelling by Land Rover for 6 weeks through the Kalahari desert from South Africa , Namibia , Zimbabwe , Botswana and back to South Africa , photographing Wildlife, Landscapes & Himba Tribal people etc. 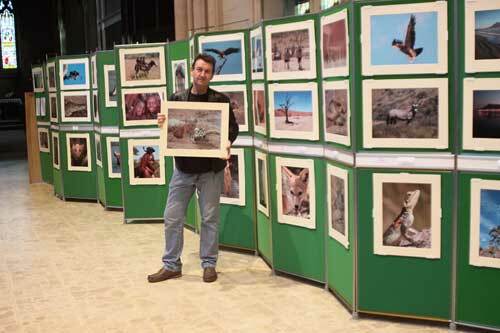 'India & Nepal Street scenes & Wildlife' including mainly the people with wildlife featuring Tigers. Wild Southern England' - The Jurassic Coast, with wildlife of Dorset, Devon, Cornwall and the Somerset Levels. The image was captured in the Unawalajura Marshes, Sri Lanka in 2016 on my most recent photographic expedition. 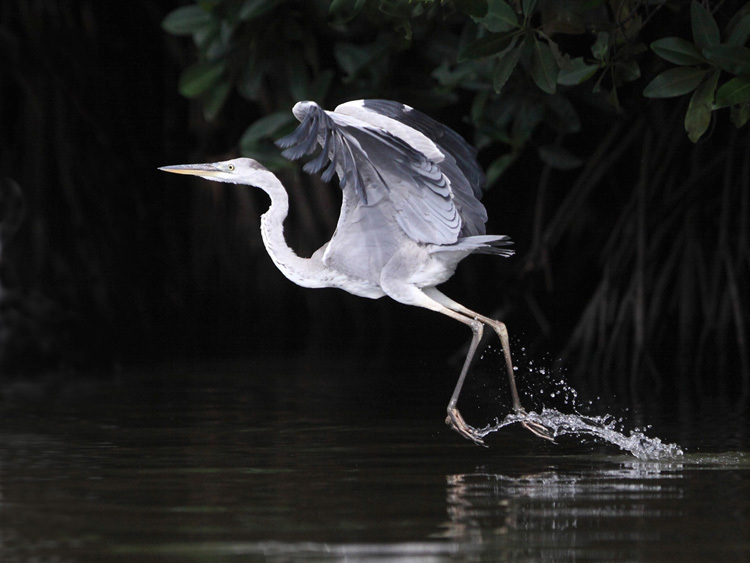 The photograph was taken with a Canon 7D camera with 300mm f2.8 telephoto lens as the Asian Heron was taking off in flight. The picture was voted into 2nd place by a public vote at Waterstones bookshop in Bolton. 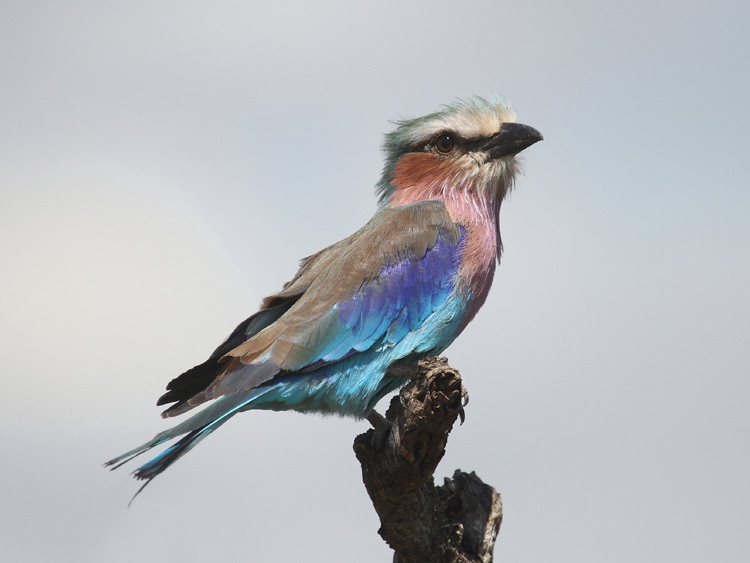 Photographed in the Luangwa Valley, Zambia. 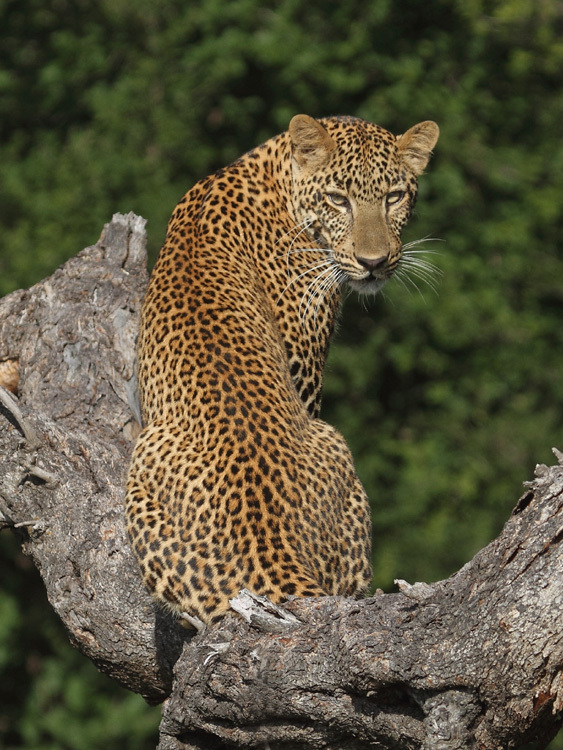 I managed to capture the leopard looking straight into the lens from a distance of less than 30ft using a Canon 100mm-400mm stabilising lens and beanbag support from a Toyota Landcruiser. The image achieved a mark of 19 out of 20 at the Bolton Camera Club monthly competition in 2016. 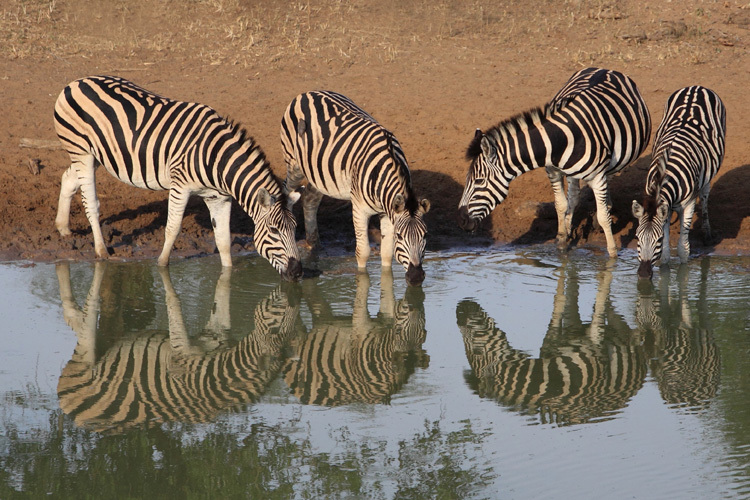 Taken at the Mkuzi National Park, South Africa with the zebras reflected in the waterhole in the early morning. This photograph achieved marks of 18 out of 20 in the Bolton Camera Club monthly competition in 2016. 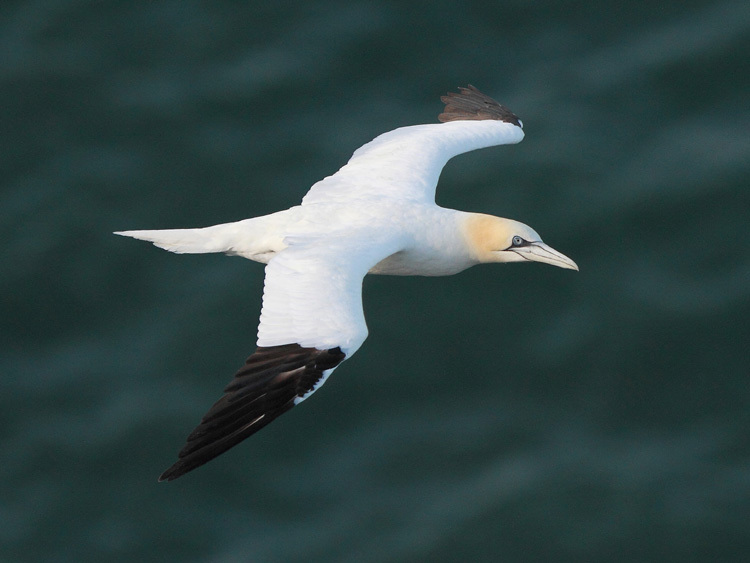 Photographed at Bempton Cliffs RSPB reserve on the Yorkshire coast near Flamborough Head. I used a 300mm f2.8 telephoto stabilising lens handheld at 1/2000 sec. Photographed in the Somerset Levels with a Canon 100mm macro lens and Manfrotto tripod. 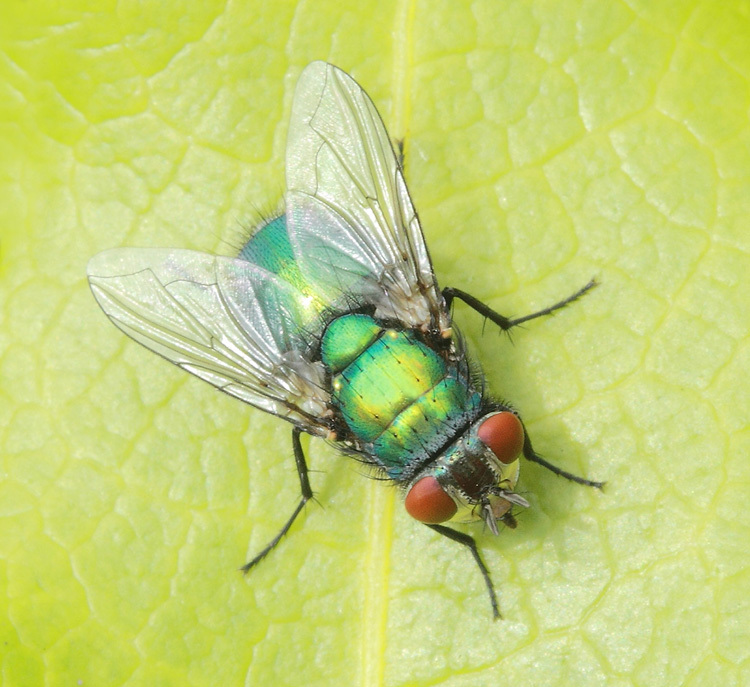 This photograph was taken after observing the Green Bottle Flies for a considerable time and presetting the camera and tripod at a likely landing spot to capture this individual Green Bottle. 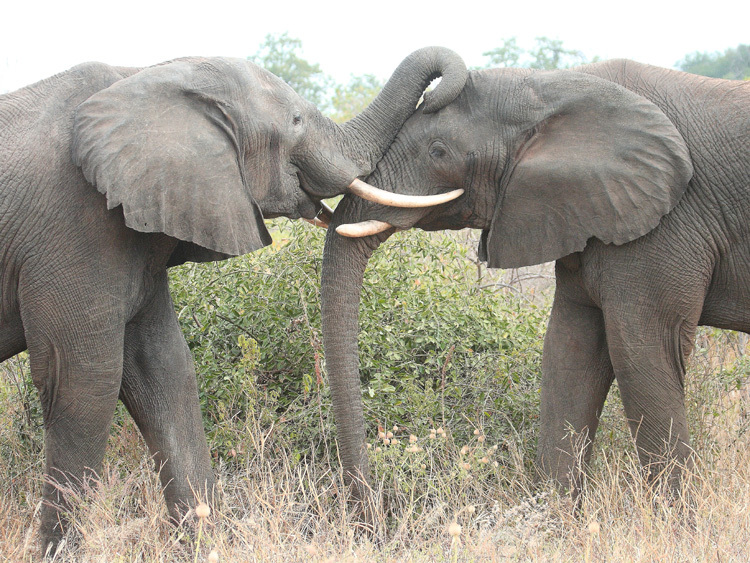 Photographed in the Chobe National Park, Botswana with a 100mm - 400mm telephoto lens. 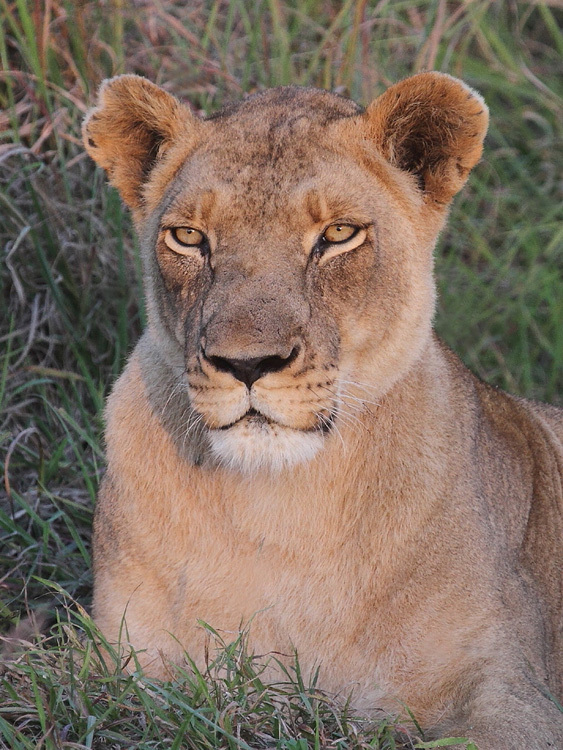 Taken in the Kruger National Park in the early morning light. The photograph was taken with a 300mm f2.8 telephoto lens plus 1.4 teleconverter. Achieved marks of 19 out of 20 in the Bolton Camera Club monthly competition in 2015. Hippopotamus in swamp - photographed on a trip to the Luangwa Valley, South Africa in 2013. This image of Open Billed Storks and Hadida Ibis' was taken at sundown in the Luangwa Valley, Zambia in 2013. 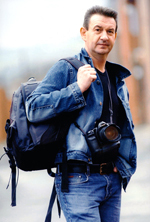 In 2011 it had achieved first place in Bolton Camera Club Digital Image monthly competition. 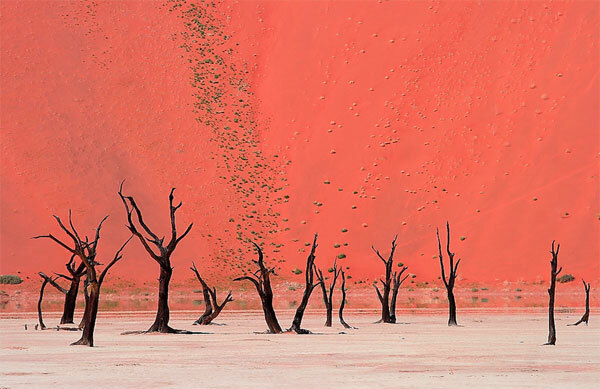 Bolton News printed a photograph I had taken of the 'Dead Vlei' in the Namib Desert to promote the Bolton Camera Club 2010 Annual Photographic Exhibition at Waterstones Bookshop in the Bolton town centre. 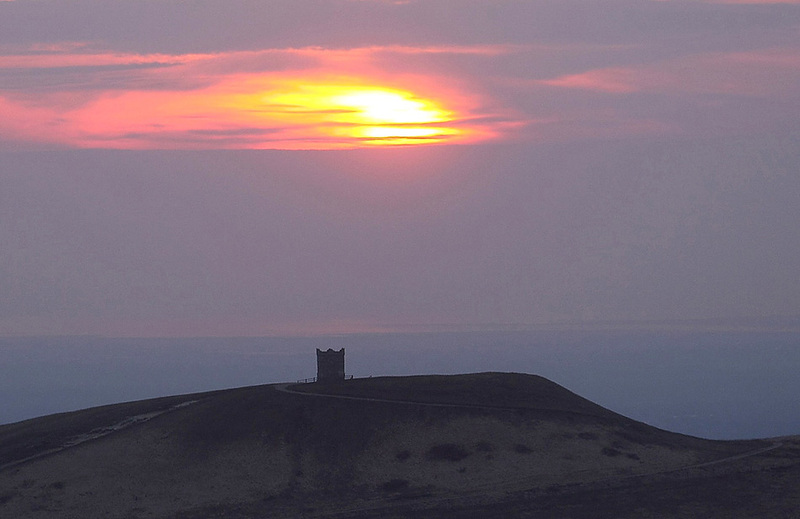 Rivington Sunset won first place in the photographic competition run by the Bolton News entitled 'My Bolton'. The competition was for pictures taken during April 2010 depicting aspects of Bolton life. I saw the opportunity to make an image of a sunset over Rivington Pike, exploiting the recent ash clouds which had been passing over from Iceland. The volcanic eruption was giving off fine particles of dust and turning the light into vivid colours at sunset. It took 3 visits to a chosen spot on the Anglezarke Moor before I captured the right image. The result was a moody sunset which was published in the Bolton News on 15th May 2010. 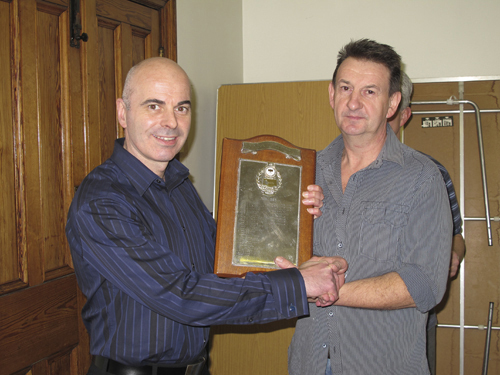 Brian receiving the 2009 Camera Club Award for Best Digital Images in the year from Richard Rollon, picture editor from the Bolton News. I use both formats (Digital and Film) for my Travel Photography. CANON E0S – 5D Mark111 Digital Camera, CANON 7D - Digital Camera, CANON E0S 1N Film Camera, PENTAX 6x7 Medium Format Film Camera. As I like to travel off the beaten track and to look into all aspects of the places I visit and photograph, I find that travelling by means of backpacking using local and hired transport is the best way that enables me to gain first hand experience of and close contact to the places and people I visit. My main collection of images are from travels to India, Nepal, Thailand, Laos, Cambodia, Rwanda, Uganda, Kenya, Tanzania, Namibia, Vietnam, South Africa, Botswana, Zimbabwe and the UK. It was always my burning ambition from being a young boy to follow and explore in the footsteps of the great Victorian explorer, David Livingstone. To satisfy that ambition, I went on a 2 month expedition from March to May 2008 taking me into Africa, through Namibia, South Africa and Botswana, travelling by LandRover and photographing Tribal People, Wildlife and Landscapes. I still have the ambition to follow this with a journey to Ethiopia. My passion is to capture a sense of place or an expression of a person, wildlife or landscape from interacting with subjects hoping to achieve a pleasing photographic image using a wide range of photographic experience and equipment. I hope that the website gives you as much pleasure as I’ve had visiting wonderful countries and taking the photographs.